How many of you all recall having to deliver a Book Report in front of your entire classroom group of students? What were you all thinking and feeling at that time? Betcha, you can't remember the title of the book or the report...but I know you recall your first or second experience related to that event. Olivia Mitchell, Author of Speaking Presentation (Blog), suggests that Speakers can deliver Wide or they can Go Deep--But NEVER along the same time during a single talk. Heeding her advice, I've chosen to go deep. Going back again to Life At Work's essence, the concepts of Spirituality are reflected throughout. Particularly The Human Soul and Spirit. One's Soul, while being connected to the invisibilities of the incarnate universe, is also of Being Grounded. Grounded is literal; The Earth...dirt, rocks, and plants. Ever heard the old saying, "Gardening Grounds Me?" Then there is Spirit. Y'all have all heard this catch phrase a million times. Everything from, God is Spirit...to I need a pick-me-up to Life my Spirits!. Life At Work suggests that Spirit is Air or Head; Soul is depth, lower, dirt. To fully function as balanced and whole beings in the working world, we need to be both Soul-Grounded and Head-Spirited. Show of hands please; Whom has experienced a positive or negative vocational change within their working lives? Maybe you haven't...no matter, because You Will at some point. Again, show of hands please. How many of you all can relate to this statement: When I lost my job, started my first business, or was forced to retrain, I was devastated...Yet, it was the best thing that ever happened to me? Was that period a time of Chaos...uncertainty coupled with anxiety or even fear? Life At Work suggests that this Chaos is part of an Opus--a Musical composition of broadness. We go through these tough times, mount our troubles, and overcome these obstacles. In his best-selling semi-autobiography, Man's Search for Meaning, Dr Viktor Frankl chronicles his internment within a Nazi concentration camp during WWII. Torture, squalid living conditions, abject hunger, and the complete genocidal extermination of his entire family, led Frankl to his psycho therapeutic technique of Logo therapy. Simply, a therapy of meaning. What we truly crave, within our lives is meaning. Unless we intimately connect to True Meaning--that is, Soul and Spirit, our ego attaches itself to a meaning of superficiality. The Unreal appearing Real...hallmarks and tokens of success. The dimensions of our work office/cubicle; the amenities of either the executive washroom and/or the Company vehicle assigned to us. How about this: my aspiration to elevate from my assigned first floor office to that of my Bosses' 7th floor office. Symbolically, desiring more work prestige is an Ivory Tower fairy tale. Upon attaining this goal, we are left empty and incomplete. Moore allegorizes this portrayal beautifully by recalling the Fairy tale story of Rapunzel and The Prince. Moreover, climbing the ladder, achieving higher goals, setting our sights high, etc., etc...This mindset is the Ego's thirsty quest for the Ivory Tower. Ministers are Called to preach; they answer the call to be installed as a Pastor of a particular church. Mother Teresa was called to be a Nun; serving the poor unselfishly. Callings are often thought of as an ecclesiastical phenomenon. I beg the differ. Whatever we are passionate about...vocationally-speaking, is a Calling. The Author writes of retired business owners that supplement their incomes via jobs as limousine drivers. During interviews, they speak of the enjoyment, relaxation, and people-connecting derived from driving clients to and fro various destinations. On the other hand, Life At Work cites instances of Successful persons achieving financial and expert success within occupational fields. Fields that they Hate; entering into because of expectations from either their parents and/or their peer social circle. "It goes without sayings, there was no question in my household, that I would go to Med School." "From Day 1, I was groomed for the Family business. Without a doubt, we have moments and/or tasks on our jobs that we like and love. Yet, continuing to work within an occupation that doesn't provide deep (soulful) satisfaction as well as passionate (spirited) thoughtful meaning, is an absence of love. Continuing on, our Love for and of the work, dies...Like a wilted rose that's been cut-off from the vine without placement into a vase of water. We wither away and feed upon ourselves. Life At Work isn't a how-to bible...nor is it a recipe for a magic blue pill to make our work life fulfilling. Rather, the book provides insight. My personal thoughts, once upon a time, was that vacations were are waste of money and time resource. I now know, as probably most of you already realized, that vacations restore our soul and recharge our batteries (spirit). Having pleasurable hobbies, such as gardening or painting landscapes, feed our psyche and is stress-releasing. Spending quality time with our children...fishing or visiting the zoo, connects us to meaning, purpose, and balance. Find Our Calling and Discover Love through Meaning. Loving What You Do, the theme of Life At Work Chapter 10, is a recurring theme in all of our work lives. Let's test the water: "How many of you all LOVE your Work?" No, not the money, power, position, responsibilities, etc...The Work! Do you REALLY Love your work (job--career)? The very same thoughts and feeling that you're having now, as I asked the question of you (do you...), are those of my own. Perhaps, that is why Life At Work Chapter 10 resonates with me. Continue down this path with me to engage Thomas Moore's writings and reflections upon this theme. Regarding work: Who do you love...What do you love...How do you love? Love is an emotion (many will disagree; citing that love is first a thought)--a feeling. That feeling (of love that is) is usually a burning desire and/or a pleasurable sensation. Have any of you all ever received a work-related Raise and/or Promotion? How did it feel? Good-to-Great, Right? 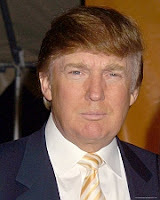 Real Estate Mogul, Billionaire, ﻿﻿﻿and Television Star of The Apprentice is the media epitome of success. Without regard to the inner personal machinations of Mr. Trump, we can suggest that The Donald has led a financially successful life. Viewing his Hit television show, the boardroom scenes show a CEO that carefully analyzes, reviews data, sizes up the Apprentice wannabees, and summarily Fires one or two players. He is Good!